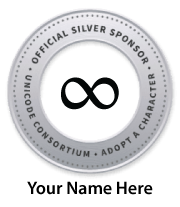 dotFM .FM TLD's sponsorship directly funds the work of the Unicode Consortium in enabling modern software and computing systems to support the widest range of human languages. There are approximately 7,000 living human languages. Fewer than 100 of these languages are well-supported on computers, mobile phones, and other devices. AAC donations are used to improve support for digitally disadvantaged languages, and to help preserve the world’s linguistic heritage. 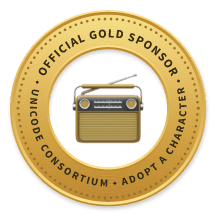 The Unicode Consortium thanks dotFM .FM TLD for their support! All sponsors are listed on Sponsors of Adopted Characters. More than 140,000 other characters are available for adoption — see Adopt a Character. Unicode® ICU 62 has just been released. It upgrades to Unicode 11 and to CLDR 33.1 locale data. A new syntax for locale-neutral number skeleton strings can be used in MessageFormat for more control over number formatting. Several still-draft NumberFormatter methods and helper classes have been modified or renamed. In C++, DecimalFormat wraps the new NumberFormatter code, and there is a new implementation for number parsing. 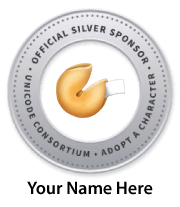 Unicode CLDR 33.1 adds support for the recently released Unicode 11.0. Version 33.1 is the latest version of CLDR, the core open-source language data that major software systems use to adapt software to the conventions of over 80 different languages. The open-source Unicode ICU library incorporates the CLDR Version 33.1 data as part of its update to Unicode 11.0 in its ICU 62 release. ICU code is used by many products for Unicode and language support, including Android, Cloudant, ChromeOS, Db2, iOS, macOS, Windows, and many others. The CLDR 33.1 release focuses on updates for Unicode 11.0: new names and keywords for the Unicode 11.0 emoji, Chinese collation stroke order, and script metadata. In addition, there are major improvements for names and annotations for the pre-11.0 emoji in CLDR languages. More extensive updates are planned for CLDR 34 (release expected in early October), with data submission still continuing. For further details and links to documentation, see the CLDR 33.1 Release Notes. Version 11.0 of the Unicode Standard is now available, both the core specification and data files. Version 11.0 adds 684 characters, for a total of 137,374 characters. These additions include seven new scripts, for a total of 146 scripts, as well as 145 new emoji. simplified statements of emoji-related rules for grapheme cluster boundaries and for word boundaries. The Unicode Standard is the foundation for all modern software and communications around the world, including all modern operating systems, browsers, laptops, and smart phones—plus the Internet and Web (URLs, HTML, XML, CSS, JSON, etc.). The Unicode Standard, its associated standards, and data form the foundation for CLDR and ICU releases. All the new characters including the new emoji are now available for adoption to help the Unicode Consortium’s work on digitally disadvantaged languages.